At Indo Farm, we give our employees the freedom to augment their skills and empower themselves, and consequently, empower the company to be able to deliver better products and services. Plant spread over an area of 34 acres and additional 5 acres have been used in our captive grey iron and SG iron Foundry. 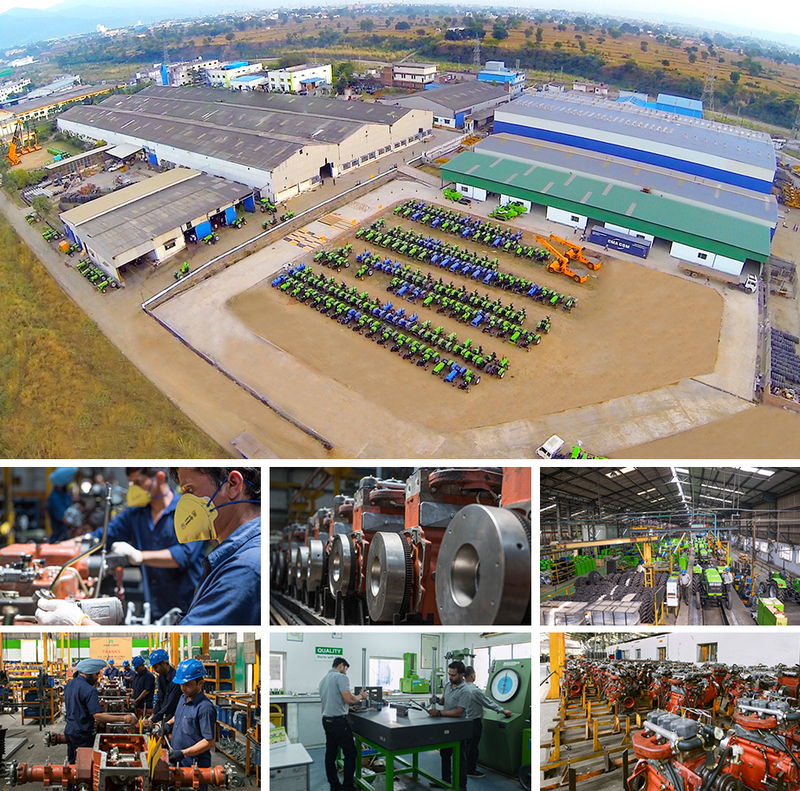 Installed Capacity of 12,000 tractors, 2,400 Cranes, 300 Harvester Combines, 20,000 Engines & 6,000 Gensets per annum. State-of-art Machine Shop having more than 150 modern machines, SPMs and latest CNC machining centres for producing excellent quality components like Cylinder heads, Blocks, Transmission housings, Gear boxes, Hydraulic housings, Axle tubes, Differential Cages, Timing cases & covers, Fly wheel housings, etc. Separate Research, Design, Development and Testing Department, instrumental in developing tractors using latest technology for catering to the ever-changing farming needs. Company has its own Foundry unit commissioned in 2006. Ensures better product quality. Top management comprises of professionals with rich industry experience.